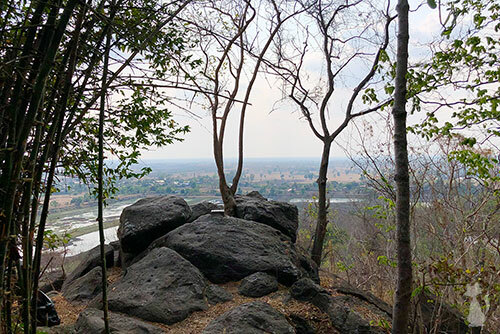 Surin, known as the land of the elephants, is one of those places that’s truly off the beaten track without too many tourists. 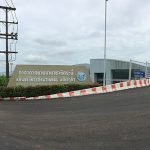 Is it because there’s no airport here, or simply because there are more famous provinces in Isaan that people prefer to visit instead (like Udon Thani or Khon Kaen)? Well, I think it’s simply because Thailand has 77 (!) provinces, and each and every one of them has at least one or two amazing and unique must visit attractions. So while the major chunk of tourism in the country concentrates on about 15-20 different places that are heavily marketed (which is already quite a lot), Surin is just not among them (yet), and that means if you come here, you’ll have a really authentic (Isaan) Thai experience. 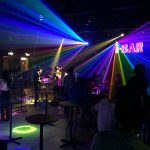 In the previous post I’ve covered the nightlife and different places to meet girls in Surin, so this post will be a Surin Travel Guide – the places you should check out during the daytime. A visit at one of the elephant villages is of course the highlight of any trip to Surin. The most famous one is the Ban Taklang Elephant Village in the northern part of the province, about 53km north of town. If you don’t have your own vehicle, you can get there either by songthaew from the bus station (60 Baht one way) or by taxi (about 1,000 Baht one way – negotiable). Ban Taklang is so popular not only because it has by far the most elephants of any sanctuary in Surin, but also because of their fun shows where you can see the elephants dancing, painting pictures, shooting down balloons, massaging the keeper, and playing basketball and football. The showtimes are 10am and 2pm. The entrance fee at Ban Taklang is 50 Baht (including the show). The southern Isaan provinces are known for their 800+ year old Khmer temples, many of which are extremely well preserved. 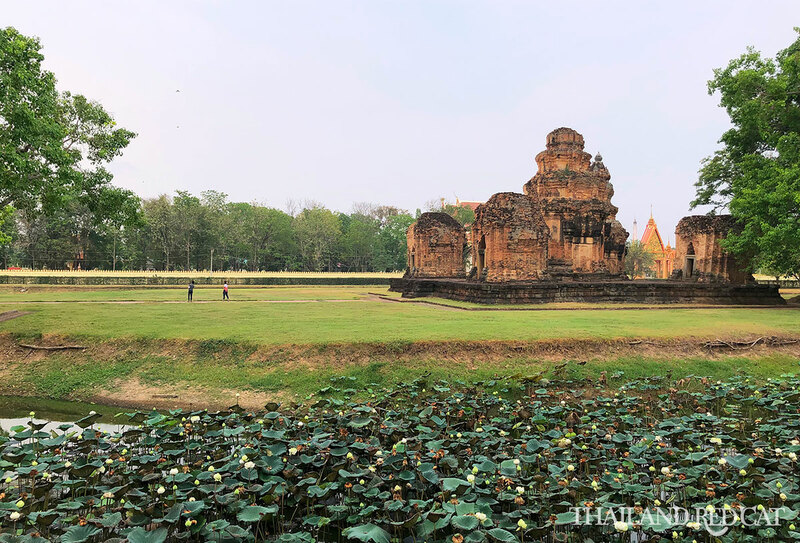 Some of the most remarkable ones are Phimai in Korat, Phanom Rung in Buriram, Wat Sa Kamphaeng Yai in Sisaket – and Prasat Si Khoraphum here in Surin. I actually visited that place while taking the train from Sisaket to Surin (YouTube Video). The train stops in Sikhoraphum and it’s just 1.6km from the railway station to the temple complex. So you can either walk there in 20-30 minutes or take a motorbike taxi for 50 Baht. Since I had 3 hours time until the next train to Surin arrived, I just walked there, and also had lunch at the nice restaurant right opposite the temple. There is an entrance fee of 50 Baht for foreigners at Prasat Si Khoraphum. Fortunately, my hotel in Surin (The Gun Hotel in the town center close to all the nightlife spots) had free bicycles to use, so one day I just toured around town, and I was surprised how many beautiful places there are to discover. 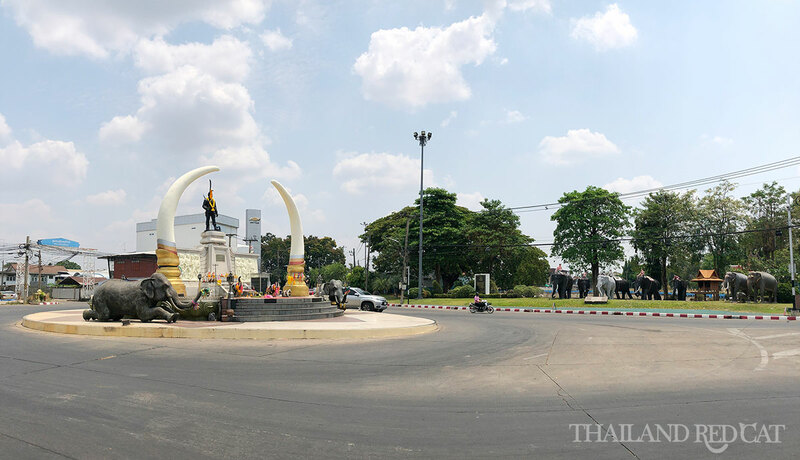 There’s the Phraya Surin Phakdi Si Narong Changwang (Pum) Monument (first picture in this guide), which honors the city’s first mayor, Phaya Surin, who was well known for his great skills in controlling war elephants. 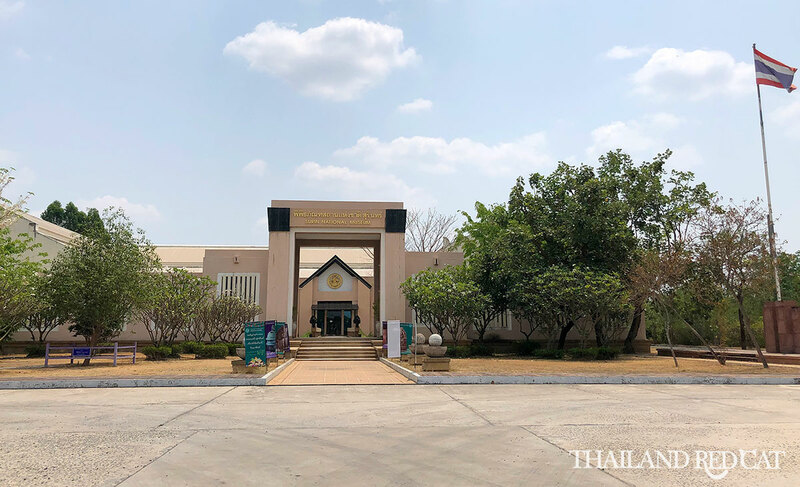 The Surin National Museum (picture above) is also worth to spend an hour or two at, as you’ll learn a lot about the province’s history in the Angkor era and the Khmer temple architecture. 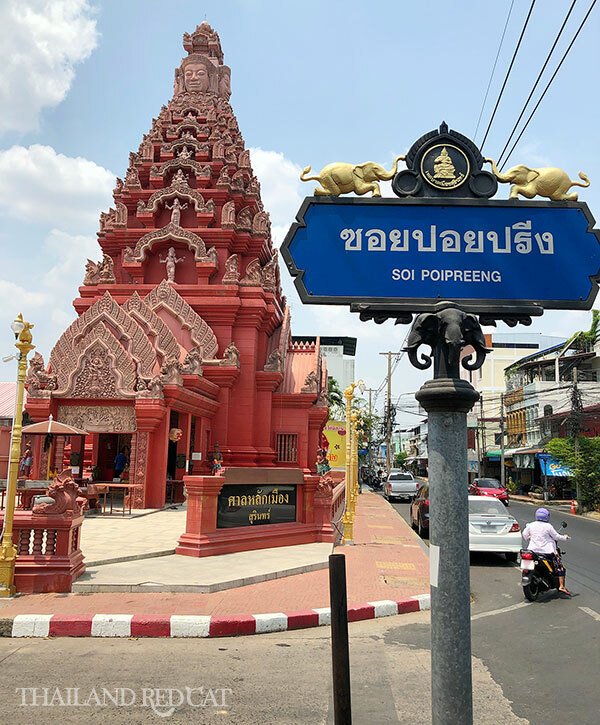 Also worth stopping by is the beautiful City Pillar Shrine (right picture), which is built in Khmer style – similar to the one in neighboring Buriram. 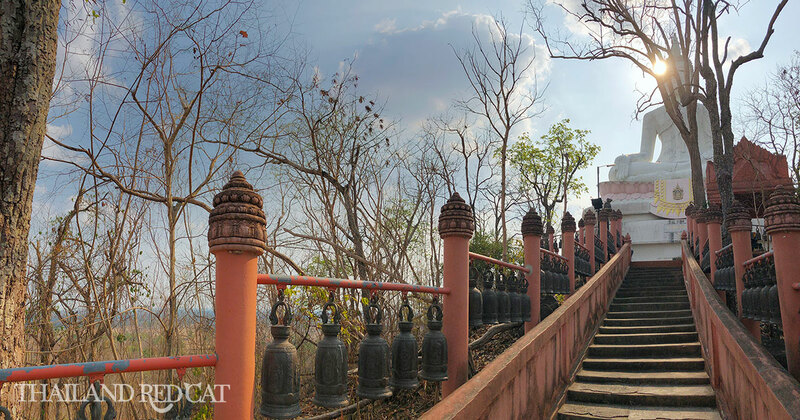 The Phanom Sawai Forest Park has a beautiful temple and Buddha statue atop a hill. It’s famous for its several hundred (!) of bells leading around the temple and the stairs up to the top of the hill. You can do like the locals do and gently hit them with a coin – if you listen carefully, you’ll recognize a nice melody. There’s also a view point on the rocks (small picture) overlooking the villages and rice paddies. 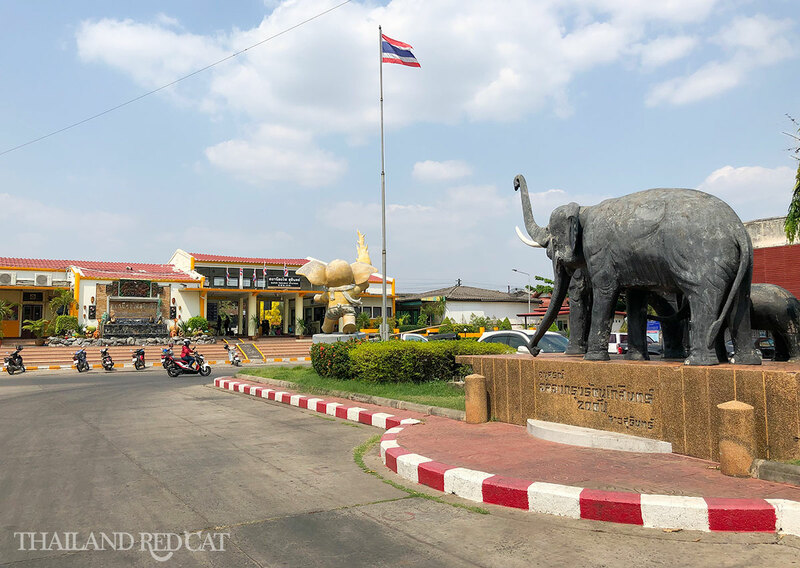 The closest airport from Surin is in Buriram, so you can fly there (1 hour, from 700 Baht one way with Air Asia) and then take a minivan right outside the airport to Surin’s Bus Station (1 hour, 60 Baht). 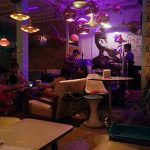 The other two travel options from Bangkok to Surin are either by bus from Chatuchak (about 7 hours, 400-600 Baht) or by train from Hua Lamphong (9 daily departures, 6-8 hours, 150-600 Baht, depending on the type of train and class). Check out the official timetable here.